Did You Really Fast For Me? For Me? The prophet Zechariah lived around 2500 years ago during the reign of the Persian king Darius. God’s people had languished in captivity for seventy years before returning to a destroyed city of Jerusalem. Apathy filled the hearts of the disheartened people. The city was in complete ruin and efforts to rebuild the Temple were met with distrust and opposition. It was laid at the feet of the prophets Haggai and Zechariah to kindle a spirit of devotion for the work of the Lord in the people. The task was daunting. There was a foreboding cloud of selfishness among the people who cared more for themselves than worship to the Lord. Religion was only a prosthetic they wore when required. Sound familiar? Remember when children were small and tasked with a job they would say to the parent, “Do I have to?” It becomes a whining thing. They do the job but with less than enthusiasm. The job is done but there is no desire to get excited about the whole thing. Worship to God becomes like that. When the people sent their messengers to inquire about whether they should weep and fast or not the reply of the Lord shows their hearts were filled with hypocrisy. During the captivity, they went through the motions but not the fervor. The emphasis of the Lord’s reply: “Did you really fast for Me – for Me?” illustrates how devoted the people were. It was not much. Very little in fact. The walls of the city lay in ruin and no one cared. Work on the Temple had begun but then stopped and would take a long time to finish. Captivity had taken away the desire of the people to worship idols but now their worship was anything but going through the motions of doing what is minimally required by law. Sound familiar? The captive people had fasted and mourned during the prescribed months but it was not because they had a longing desire to worship the Lord in truth. They had turned their worship into the worship of self. “My needs must be met” is what they were saying. “Our designs must be fulfilled” is how they lived. Suddenly the worship of God had turned into a ‘clock-watching-limited-time-doing-things-in-a-rigid-prescribed-manner-of-worship-don’t-ask-me-to-do-more-than-that’ kind of religion. 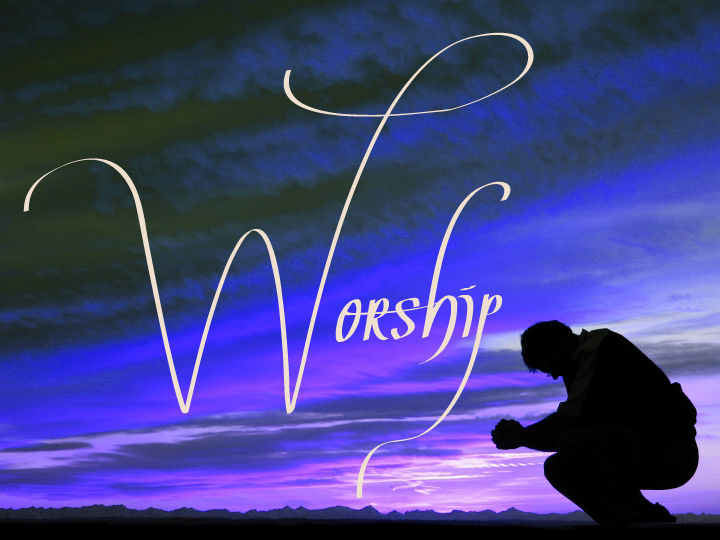 They had a heart for worship; it was a heart for themselves – not the Lord. It was remarkable they had the audacity to ask the question. If they could get away with doing as little as possible, they would be happy. Sound familiar? Obedience of the heart has always been the need for man. The Lord required sacrifices to test the hearts of the people, not the hands. Going through the motion of worship does not bring holiness. A parrot can be taught to pray but he is only saying words. The heart of true worship is rooted in an obedient heart of truth, mercy, grace and thanksgiving for the wonderful blessings of a loving God. True worshippers never ask the question, “Do I have to?” They do because they love the Lord with all their heart, their soul, their minds and their bodies. Worship is not contained in a box. Praise God for who He really is because of who we really know ourselves to be. Thank you Father for your enduring patience and love.